We know that the world of training and education can be complicated! We hope this section will help you to understand how we fit into it, and answer some of the questions you may have, but if it doesn’t, then please do get in touch with us and we’ll do our best to help you. Laser Learning Awards (LASER) is an awarding organisation regulated by Ofqual, the regulator of qualifications in England. This means that we have to meet a very stringent set of conditions of regulation to make sure that all the qualifications we issue have been delivered, assessed and awarded correctly. Some of our qualifications and other courses are called ‘unregulated’ which means that they are not regulated by Ofqual – but it doesn’t mean there are no quality standards attached to them. In fact, we apply the same set of quality standards to all our provision, it just may ‘look’ different in some cases, and being unregulated means we can be more flexible in designing the courses. We can also approve courses which are unique to a certain company and not available to anyone else. 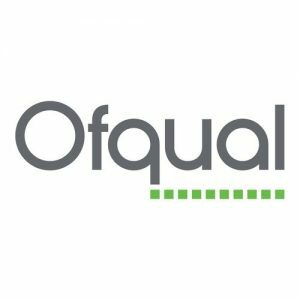 If you have a LASER qualification certificate and it has the Ofqual logo on it then your qualification is regulated by Ofqual. As an awarding organisation, we don’t deliver the training for these regulated and unregulated qualifications and courses ourselves (*but see below for information on training we do offer directly). Training centres such as colleges, private training centres, schools, community groups, and so on, can apply to us for approval to deliver the qualifications and courses we offer, if they meet our high quality standards. As a learner, your contact will be with your training centre – they will provide your training and support, and in most cases, they will carry out your assessment too, though in a small number of qualifications, your assessments are sent to us for marking. We carry out frequent visits to all our approved training centres, which can include unannounced visits, and by this and other means, we are continually checking that the required standards are being met. Once you have completed your qualification and passed your assessments, your training centre will apply to us to carry out our final quality assurance checks which can include random sampling of your marked assessments. When we are satisfied that all the requirements have been met, we issue your certificate, which is sent to your training centre to be given to you. A relevant appeal type as stated in our Appeals Policy and Procedure. This can include an appeal against an externally marked assessment (ie an assessment sent to us for marking), but an appeal against an assessment marked by your training centre must be made directly to your training centre and can ONLY be brought to us if you have exhausted your centre’s appeals policy and the matter has not been resolved. A complaint about the provision of LASER services as stated in our Complaints Policy and Procedure. A complaint about your training centre as stated in our Complaints Policy and Procedure ONLY if you have followed and exhausted all steps of your centre’s own complaints policy. An allegation of malpractice which directly affects or potentially affects you, as stated in our Malpractice and Maladministration Policy and Procedure. A whistleblowing disclosure which affects others but not yourself directly, as stated in our Whistleblowing Policy and Procedure. *We do offer a range of training courses to support people working or wanting to work in a wide range of training and education roles. Please see our Training page for further details. Finally, you may be interested to know that we are a registered charity as well as a company limited by guarantee, and so any profit we make is re-invested into our company in order to keep our prices as low as possible and support our training centres and learners – we do not have shareholders or a business owner who profit from our income! We also have some FAQs to give you more information and answer many of the questions we receive from learners.